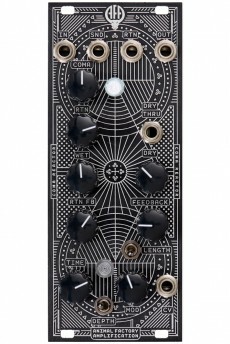 The Coma Reactor module from Animal Factory Amplification is an innovative delay with a variety of sonic possibilities. It is based on a PT2399 delay chip and offers amazing routing and sound design options. The Coma knob is an attenuator for the input signal. Low levels can generate funny noises. The input signal is mirrored at the Thru output, for further processing with another module. There are separate dry and wet potentiometers to adjust the desired effect amount. The delay time ranges from 30 to 2000 ms. 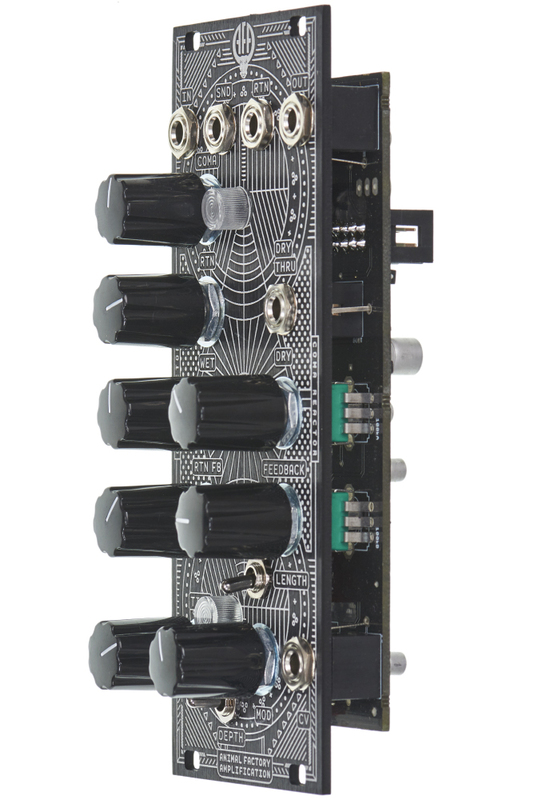 It can be controlled manually via the Time knob or with control voltage thanks to the MOD input, which is equipped with an attenuverter and a switch for setting the amount of modulation. Furthermore there is a LED which indicates the CV polarity. The delay features a feedback knob for controlling the repeats. Turned fully clockwise it will bring up self-oscillation. Thanks to an integrated send/return path it is possible to use the module with external effects. The volume of the external effect is controlled by the Return potentiometer. 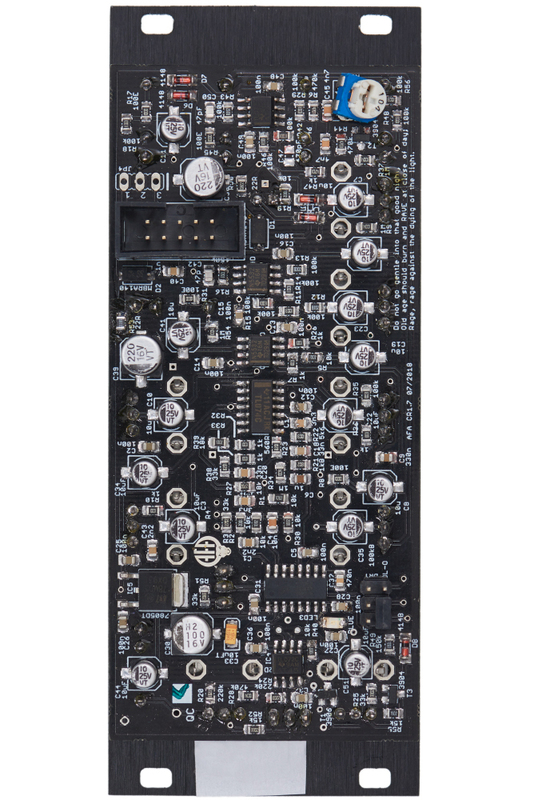 If nothing is connected to send/return, the delay signal is routed internally through a crude twin-T Bandpass Filter. The effected signal can be fed back into the delay circuit thanks to a dedicated Return Feedback knob.